Who doesn’t like colors? Everyone does! right ? If you get to experience the vibrancy on a vacation, I bet you would fall for that place… Rajasthan is certainly one such place. 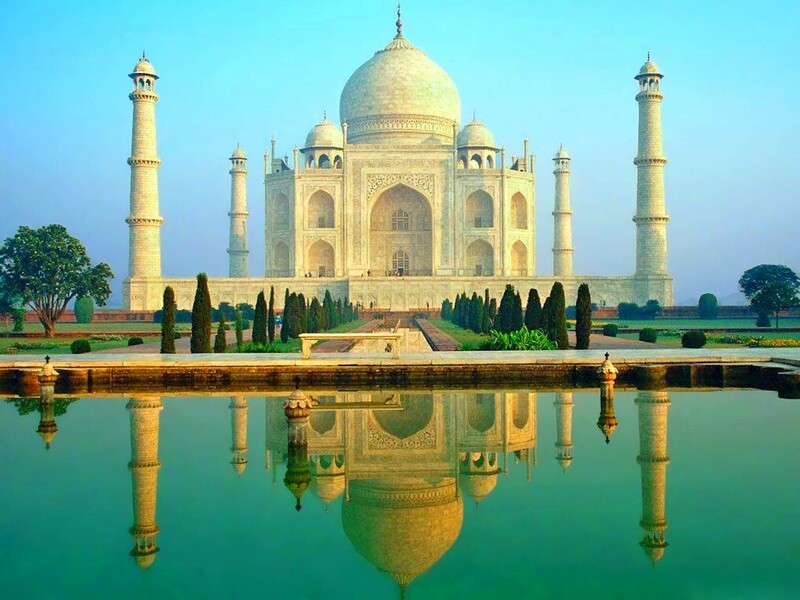 The unvanquishable forts, the magnificent palaces, rich culture and heritage, sand dunes and beauty of natural resources is a visual treat for everyone. Rajasthan has something for everyone. Rajasthan is the largest state of India with Jaipur as its capital, was once known as the ‘Land of the Kings’. It spans most of the area of the Great Indian Desert (Thar Desert) with one edge paralleling the Sutlej – Indus river valley along with its border with Pakistan. It borders Pakistan to the west, the Indian state of Gujarat to the southwest, Madhya Pradesh to the southeast, Uttar Pradesh and Haryana to the northeast and Punjab to the north. 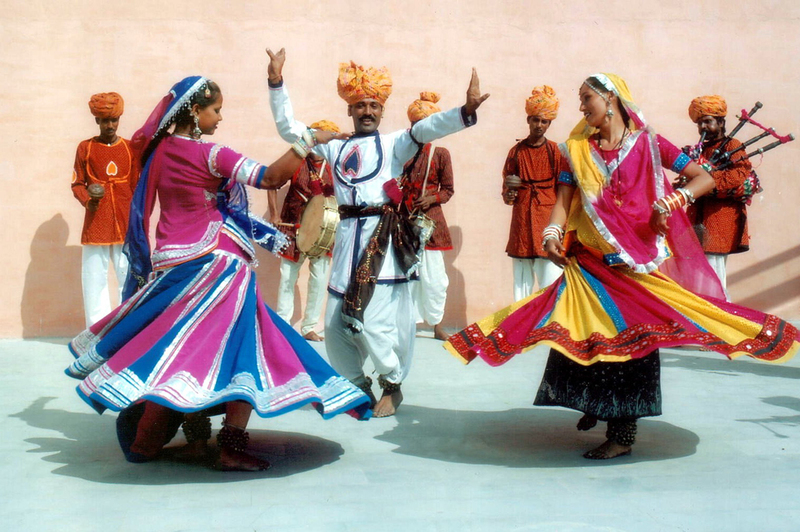 Rajasthani and Hindi are the widely used languages in the state. Rajasthan offers an unparalleled world of heritage, culture, safaris, sand dunes sand lush green forests with its wildlife. The outdoors are thrilling – safari on horses, camels, elephants or you may even experience a chill of surprise driving a jeep with the Aravallis – line of peaks India’s oldest mountain range in the backcloth, give a treat to your eyes with sloppy sand dunes, or trail a tiger or just watch birds on wetland. Or pamper yourself in the lavish heritage properties. 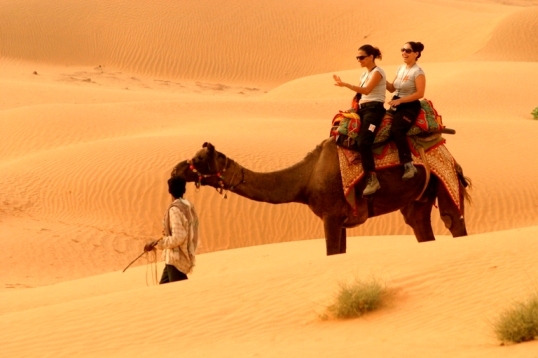 Riding a Camel is fun! The astounding architecture still echoes the heroic legendary and romance and stand still narrating the stories of the bygone days. 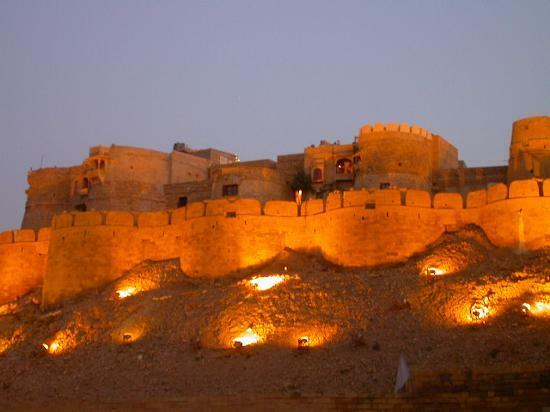 Rajasthan Tour Packages takes you through an enchanting journey of manifold culture, color and spices. Staying at a heritage palace, descanting from the Amber Fort on an elephant or a camel safari in the Thar Desert, tour package of Rajasthan is what you want to avail with your family or friends on your visit to India. Holiday India offers Cultural Tours in Rajasthan that would be a memorable experience for you and that you will cherish all your life. One can gather amazing memories of Rajasthan, on your family, corporate, group or honeymoon tour to Rajasthan India, with Holiday India. Prin YOGA si AYURVEDA, spiritul indian imi pare magnific.Sa fie consecinta ambientului la fel de miraculos?